Last time, we looked at a Superman-and-Baseball story from the Golden Age. Today, we are looking at something more modern: Superman Adventures #13, an issue from November 1997 and part of a series based on Superman: The Animated Series, which was on the WB Network (remember them?) at the time. Now, much like the Batman cartoon of the time that I talked about in the opening paragraphs of the Cal Ripken comic, it was an awesome show. It was a masterpiece, not just a great kid show, but a great show period, the best adaptation of the Man of Steel and not one to underestimate it’s audience. It’s the only kids show I remember growing up that actually killed off a relatively important character and never brought him back from the dead. 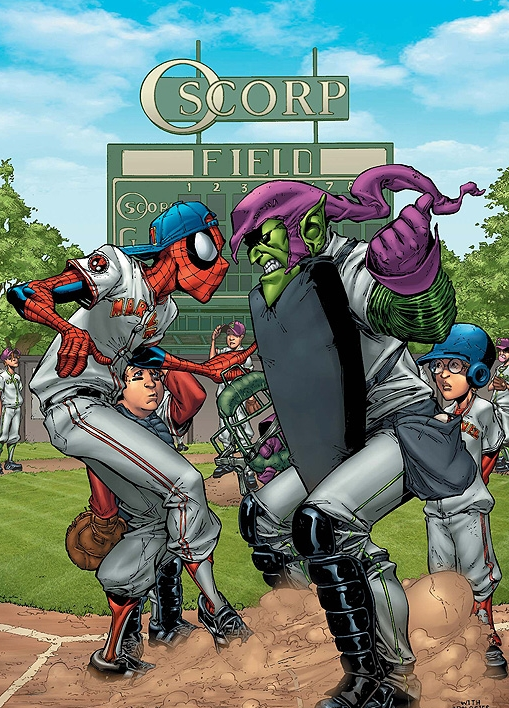 While Superman Adventures #13 isn’t quite up to that standard, it’s still a very good and fun story about Superman having to fighting aliens at a baseball stadium, and, really, what more can you ask for? It’s well worth the 99 cents I paid for it on the Comixology app on my iPod. Superman. Contrary to popular belief, he was not the first superhero, but he was the first to truly make an impact. First appearing in Action Comics #1, this year is his 75th anniversary, and his latest film, Man of Steel, was a runaway success that already has spawned a sequel due out in 2015 where Superman will meet/fight/probably-become-buddies-after-that with Batman. By the way, Man of Steel establishes that Clark Kent is a Royals fan. Steroids and other performance-enhancers are, to sports, a plague. They provide some players an unfair advantage, threaten the integrity of records, and could also endanger the long-term health of the user. The great struggle of 21st century sports has, in many ways, been the struggle against PEDs. But, as today’s installment of Bizarre Baseball Culture shows, the the view that PEDs are bad goes against human nature and human fantasy. The human experience, the human dream, has always been about becoming better. It is one reason why, for example, that larger-than-life heroes have been popular since ancient times. So it is perhaps not surprising that fictional superhumans (who by their nature are better than human) have often gone hand-in-hand with PEDs (which by their very nature make the user better than the average human). Steve Rogers, for example, became Captain America after being given a Super-Soldier Serum by the American government. Bane, the villain who once broke Batman’s back and appeared in less-steroidy form in The Dark Knight Rises, got his great strength from a drug known simply as “Venom”. Even Popeye, with his spinach, could be said to be using some type of performance enhancers. But few stories actually have an athlete using a PED… but I have found at least one, featuring the obscure hero Dash Dartwell (sometimes called “The Human Meteor”), a college athlete who has gotten “Metabo-tablets” from a biochemistry professor that make him superhuman until the pill’s effect wears off. 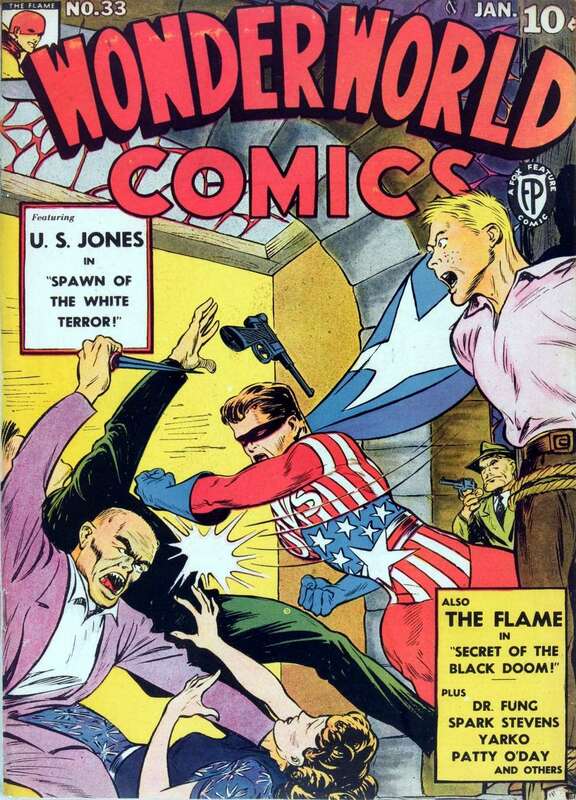 Amazing Man Comics #22, the issue from May 1941 which contains this story (it starts on page 41), can be found here. Go below the jump for the rest of this installment of Bizarre Baseball Culture.